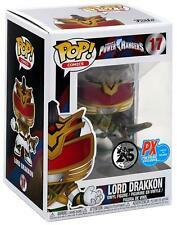 Lord Drakkon is back, seeking power and might as a new exclusive Funko POP! Manufacturer: Funko. Toggle panel. Join Agent J and Agent K on an extraterrestrial adventure the likes of which you might forget if the agents happen to be packing memory-erasing neuralyzers. Agent J and Frank the smart-talking pug-alien make an adorable Pop! and Buddy while Agent K and Neeble the coffee-addicted worm make for a more cynical Pop! and Buddy. Edgar stands approximately 3 ¾ inches tall and is packaged inside a window display box. Recomended Minimum Age: 3 years- small parts not suitable for children under 36 months. Up for sale is Funko Pop Saban's Power Rangers White Tigerzord #668 Hot Topic Excl NON-MINT Box . Item is new and unopened. Box has damage shown in pics. Figure may or may not have minor paint defects. Item come from smoke-free, pet-free home. Only accept paypal and all sales are final. Shipping and handling is free for Continential US. International, Alaska and Hawaii bidders, e-mail me prior to bidding for additional shipping. Payment is due within 5 days of auction end. No COD or local pickup. FUNKO POP! Funko Pop! Released in 2017 as a Walmart exclusive. Designation: Item #408. The Mighty Morphin' Power Rangers are ready for battle! Bring home the original Power Rangers today, just in time for the upcoming release of their all new motion picture! This Pop! Vinyl Green Ranger measures 3.75 inches tall and is packaged in a window display box. Complete your Pop! Power Rangers collection today!. In this lot you get -. Burger King Mighty Morphin Power Rangers Blue Ranger. Burger King Mighty Morphin Power Rangers Pink Ranger. Burger King Mighty Morphin Power Rangers Yellow Ranger. This is the Power Rangers Movie POP Pink Ranger Vinyl Figure. It's produced by the neat folks over at Funko and stands 3.75 inches tall. With the new Power Rangers movie set to drop soon, it cool to see the new style of POP figures coming out. Awesome! 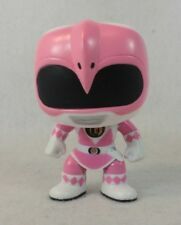 Recommended Ages: 14 Condition: Brand New Dimensions: 3.75" X 1 Funko Power Rangers Movie POP Pink Ranger Vinyl Figure. Funko POP! Item is in good displayed condition. This White Ranger pop is in excellent condition. White Ranger #22 (Out of Box) from Power Rangers (Original Series). This 2013 pop is vaulted and rare. Photos are of the actual item you will receive. Funko POP! TV #687 • POWER RANGERS DINO ULTRAZORD. Item is new. For more details, look at the pictures. Trending at C $58.73eBay determines this price through a machine-learned model of the product's sale prices within the last 90 days. Item model number: 12273. From Power Rangers, Pink Ranger, as a stylized POP vinyl from Funko! Collect them all! We bring you fun-loving collectibles and toys made to brighten up your life. Funko POP! Character: Rita Repulsa. "You've Got The Power!". Celebrate the 25th anniversary of Saban's Power Rangers. This Power Rangers Rita Repulsa Pop! From Power Rangers, Rita Repulsa, as a stylized POP vinyl from Funko! From Power Rangers, Red Ranger, as a stylized POP vinyl from Funko! Figure stands 3 3/4 inches and comes in a window display box. Check out the other Power Rangers figures from Funko! Collect them all!. MANUFACTURER: FUNKO. Funko STD, Bosley STD, - Vinyl. Funko Talking, Large, New - Vinyl. Funko BANKS. 1 FREE POP PROTECTOR. MADE FROM: VINYL. Cold cast Resin. Cold Cast Resin. Funko POP! Power Rangers 2-Pack Vinyl Figure - Rita Repulsa and Zordon Please note the item is in brand new pristine condition. However if you choose free shipping the package will be shipped on bubble mailer and the outer packaging maybe damaged during shipping. If you are a collector please choose the other shipping option which is priority mail. We will ship it in a safe box so it will get to you in pristine condition thank you. Saban’s Power Rangers is celebrating 25 years of action packed superhero television fun and Funko is excited to announce a new batch of Pop! figures! In the latest series, you can collect Rita Repulsa, alongside villain Lord Zedd, and under their command Goldar. Collect Blue, Green, Red, Pink, Black and Yellow Rangers - all designed with their civilian faces! Trini stands approximately 3 ¾ inches tall and is packaged inside a window display box. Recommended Minimum Age: 13 years - subject matter not suitable for all audiences and may contain content of an adult nature. Not a toy. 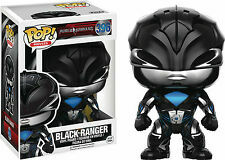 Brand new power rangers black ranger funko pop #361. Please email with any questions. Funko Pop Vinyl POWER RANGERS White Ranger GITD RARE 2013 SDCC 1/480 Glow. Condition is New. Sent with Australia Post Standard Service. You are purchasing a Funko Pop! Manufacturer - Funko. Item has a light odor. these are in place as we want to make sure your item(s) arrive to you quickly, safely and in the best condition possible. Has slight box blemishes shown in the pictures. What you see is what you get. The Mighty Morphin' Power Rangers Blue Ranger Pop! Funko POP! From Power Rangers, Blue Ranger, as a stylized POP vinyl from Funko! Collect and display all Power Rangers POP! From Doctor Who, The Tardis, as a stylized and adorably miniaturized POP Keychain from Funko! Figure stands 1 1/2 inches and comes in a window display box. Take The Tardis wherever you go! Travel through time and space with the TARDIS Keychain! Collect this piece of advanced Time Lord technology and check out the other Dr. Who figures from Funko! Collect them all!. Trending at C $14.90eBay determines this price through a machine-learned model of the product's sale prices within the last 90 days. Funko POP Vinyl Power Rangers Dorbz And plush COLLECTIBLES LOT!! Power Rangers Funko POP! Coming soon from Funko! Red Ranger and. Pink Rangers in unique action poses! Mighty Morphin Power Rangers! Green Ranger and White Ranger as well as Rita Repulsa and Goldar! Mighty Morphin Power Rangers- Alpha 5 #408. The Mighty Morphin' Power Rangers Black Ranger Pop! Product Details. UPC 889698103091. Manufacturer # 10309. Item model number: 32806. Collect them all! We bring you fun-loving collectibles and toys made to brighten up your life. Funko POP! Power Rangers Movie Rita Repulsa & Zordon Vinyl Action Figures New!! !